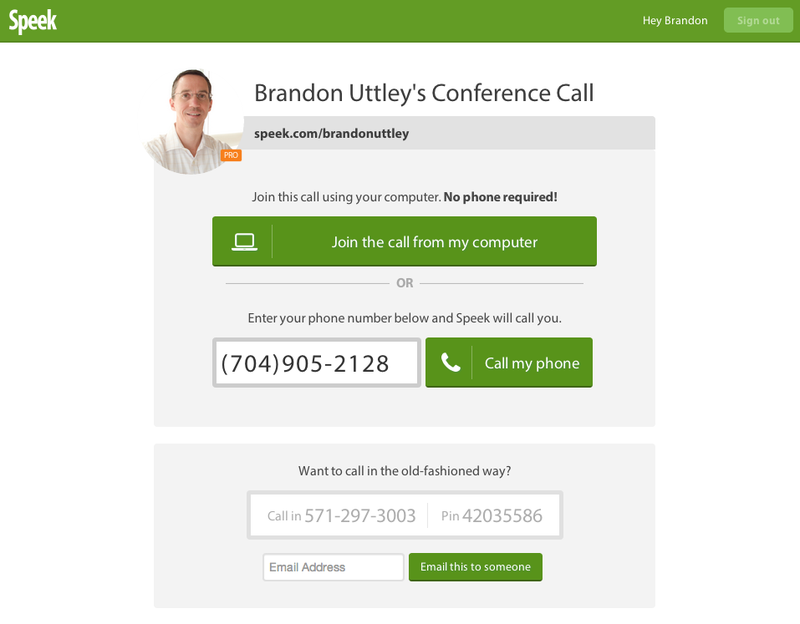 Get No-Hassle Conference Calls With Speek | Brand On! Need a fast, easy way to set up a conference call? Speek is one of the better conferencing services I’ve tried. Once you sign up for a free Speek link, you can share it by email, calendar invite, instant message, text message or however you’d like. Your guests don’t have to register for Speek to join a call. Cost: Free plan (unlimited calls for up to 5 people whenever, wherever); a paid version for $10/month (or $100/year) allows you to add unlimited attendees to your calls; share files together to view during the call; record your calls; comment during the call & access the comments transcript later.